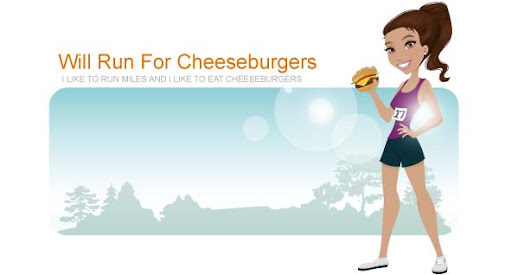 Will Run for Cheeseburgers: what is a runner? the other day my friend Alex told me that I wasn't a runner. see, in his eyes he only thought people who ran marathons could call themselves runners. I disagree. I run miles. Some weeks I run more than others, but for the most part I run an average of 15 miles per week. When I begin training for the half marathon I'll be hitting more than 20 miles a week. Shockingly enough, that excites me. I can't wait to push myself. I can't wait to have a goal to work towards. Openly I say my goal is to run a sub 2 hour half marathon (shaving off 7+ minutes off my 1st half). Secretly I hold onto some more ambitious goals that I hope to achieve. After running 4.44 miles tonight in 35:40 minutes (an average pace of 8:01 minute/mile ... so close to sub 8!) 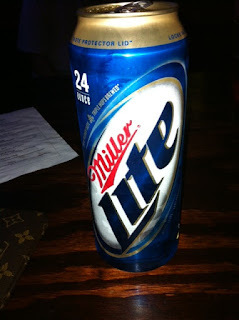 I hung out with some "runners" at a local bar. We ordered beers and sat there in our sweaty clothes and just talked. Just talked like "normal" people. I had such a good time ... I finally had some people that I could hang out with that CARE about my pace. They CARE about which race I'm planning on doing next. They CARE about what sneakers I wear and when I plan on getting a next pair. Don't get me wrong I love my friends. Everyone who knows me would say how much I bend over backwards for each and every one of my friends and how much they mean to me. But these "runner" friends are pretty cool too. It's been 6 weeks since I started running with the Charlotte Runners meetup group ... and I must say I'm having a blast being a runner. And who knows ... maybe one day I WILL run a marathon. Just not today.